Two Bottle Limit Per Customer. Équinoxe: equal day, equal night. Equal new world, equal old world. This Cabernet Franc was the first wine that opened our eyes to the uniqueness of South Okanagan. Here, we get elements of both the old and the new world. The lushness and fruit intensity of the new world, marries the structure, natural acidity and complexity of the old world. 2015 marks a come back for this mythical wine after none was produced in 2013 and 2014, despite the final product being a very good wine but falling short of our exacting standards. This is not a shy wine nor does it play coy. 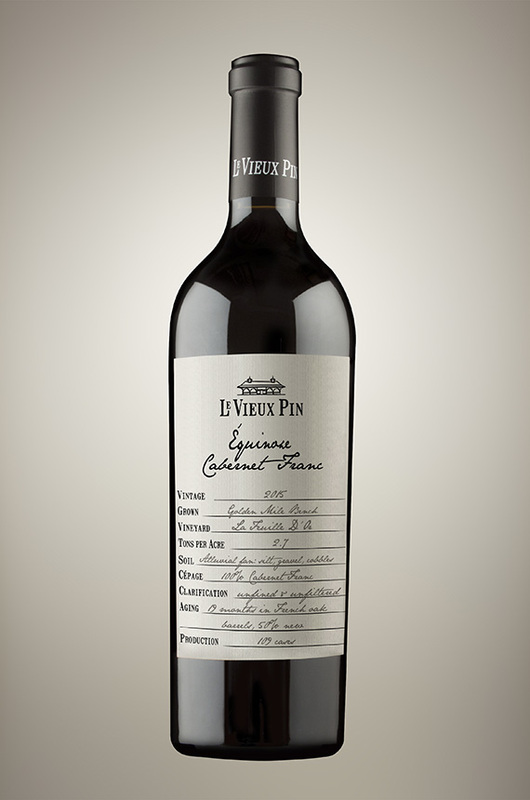 It is hailing from a vintage known for its exuberant character. Grilled Poblano pepper, dark purple cherry, spicy vintage cigar, saddle leather, blueberry bran scone and other hard to pin point complex and heady aromas greet you on the nose. The attack is powerful and right off the bat wows with layers upon layers of intense flavours, transitioning to a full and weighty mid palate and a monumental finish that lasts for well over a minute. A legendary wine that is a must buy for lovers of Cabernet Franc. Arrachera and Asada beef Fajita are personal favorites.